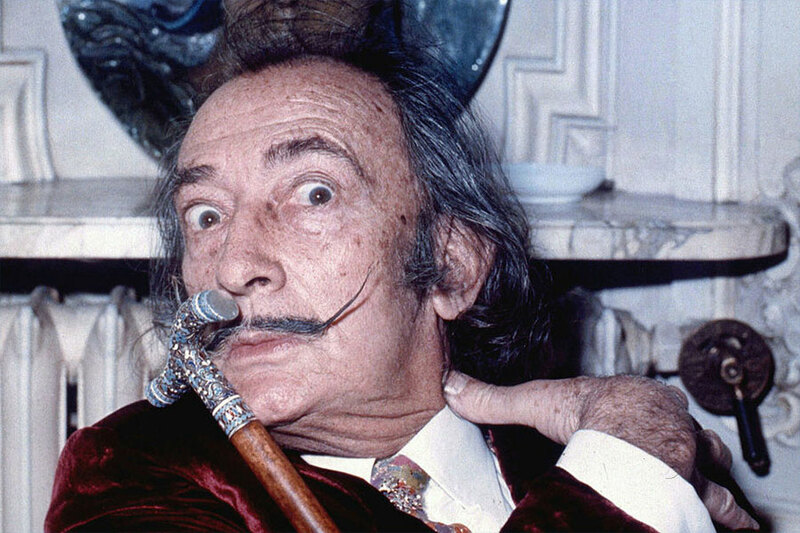 Although Salvador Dalí was born in Spain, the artist spent a short — but productive — stint in Monterey, during the 1940s. In 1941 he and his wife Gala called the Hotel Del Monte home for a year, before they relocated to what’s now the Lodge at Pebble Beach for another seven years. The Monterey Peninsula is the only place in the US where Dalí lived and painted; and today a local museum celebrates his coastal tenure. Dalí 17 (www.Dali17.com), which is named for the famed 17 Mile Drive where the artist once resided, houses a breathtaking collection of original etchings, lithographs and rare sculptures by the famous surrealist. 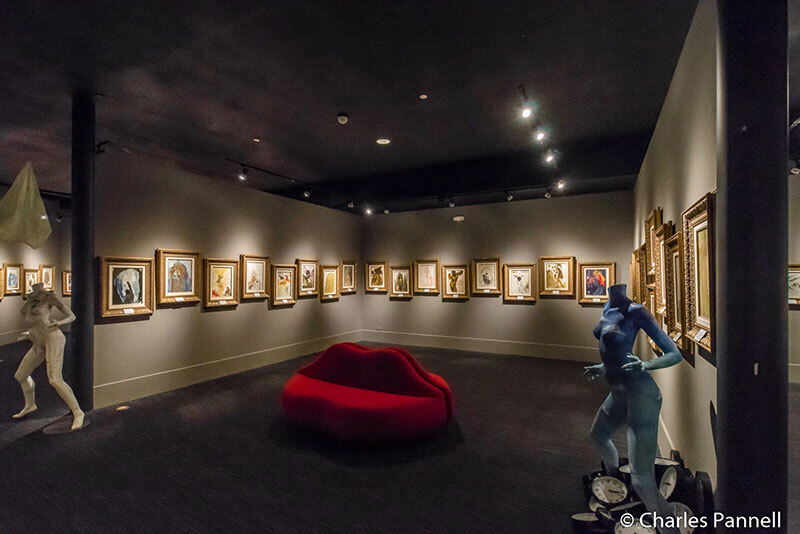 And as the largest private Dalí collection in the country, it’s definitely a must-see on any Monterey itinerary. Located on Custom House Plaza, on the former site of the Museum of Monterey, the museum is easy to get to for wheelchair-users. Best bet is to park in the Fisherman’s Wharf parking lot, and go all the way to the south end of the lot, where you’ll find several accessible spaces. From there, it’s just a short level roll to the museum, which features level access, elevator access to the second floor, and accessible restrooms around the back. There’s also plenty of room for even the largest wheelchair to roam through the spacious galleries. The downstairs gallery is comprised of two contrasting exhibits. On one side there’s a collection of lithographs illustrating the Marquis de Sade’s provocative writings. The works give life to the author’s sadistic sexual fantasies and unrestrained morality, and although some are quite graphic, others leave a little more to the imagination. Biblica Sacra, a collection commissioned by Dalí’s friend Giuseppe Albaretto in an effort to bring the author back to the Catholic church, occupies the other half of the downstairs gallery. Dalí used ink-filled capsules that were fired from a gun at sheets of paper in these works, which include an interesting mixture of biblical references and classical mythology. In the end it appears that Albaretto’s efforts failed, as the final paintings seem to have Dalí questioning his faith. The upstairs gallery is equally intriguing, as it begins with illustrations of Don Quichotte and some fanciful tarot prints. It also includes the works Dalí did for The Songs of Maldoror in 1934 — a project Picasso passed on — which clearly show that melting time was an early theme for the artist. Add in the works from the Divine Comedy, which follows Dante through the inferno, purgatory and paradise and you have an incredibly well-rounded exhibition. That said, the Les Caprices de Goya de Dalí works are perhaps the most moving; as Goya’s etchings are displayed next to Dalí’s more colorful and surrealistic interpretations of his work. In short, this collection evokes a myriad of emotions, and serves to illustrate the ageless themes of this often misunderstood artist. And it may even leave you questioning some of the core beliefs of modern society. Either way, it’s most definitely worth a stop.